Obituary for Thelma I. 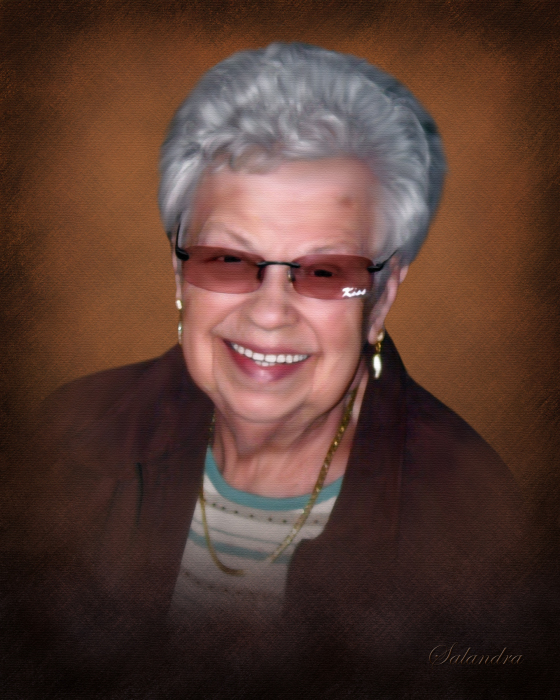 (Szolek) Friend Niedzwickie | Salandra Funeral and Cremation Services, Inc.
Thelma I. Friend Niedzwickie, 93 of McMurray, formerly of Canonsburg, passed away peacefully on Monday, December 17, 2018 in Paramount Senior Living in McMurray. She was born on September 18, 1925 in Washington to Joseph and Estelle Pijanowski Szolek who preceded her in death. She was married to Stanley R. Friend who passed away in 1987. She then married Stanley Niedzwickie on November 9, 1990 and he passed away on April 2, 2015. She was a member of St. Geneieve’s in Canonsburg until it’s closing. She then joined St. Patrick Catholic Church where she was an active member for many years. She was a member of the Christian Mothers, volunteered at numerous fish fry’s and the summer festivals. Thelma was known as one of the “perogie ladies” at St. Parick’s Church. She was devoted to her faith and to her church. Mrs. Niedzwickie was employed as a factory worker for many years at Brockway Glass. She had many interests and hobbies including bowling, bingo, dancing, especially polkas, crocheting afgans as gifts for many people over the years, and playing the slots at the casino. She was a classy woman who will never be forgotten by her friends and family. Surviving are her two sons, Stanley J. Friend (Nancy) of Erie, Richard A. Friend (Deanna) of South Carolina, her only daughter Cheryl A. Friend Sluciak of Canonsburg, her sisters Gloria J. Imperatore of Canonsburg, Edith Huffman of Fayetteville, Georgia, two grandchildren Christopher Friend and Jason M. Friend, a great granddaughter Ava Friend, several step grandchildren, step great grandchildren and numerous nieces and nephews. In addition to her parents and husband(s) she was preceded in death by a brother Robert Szolek and two sisters Loretta E. Lee and Elsie D. Ladzinski. Friends are welcome from 2~8 p.m. on Wednesday, December 19, 2018 in Salandra Funeral and Cremation Services, Inc., Joseph P. Salandra, LFD, owner/supervisor and Darla A. Tripoli, LFD, 304 West Pike Street, Canonsburg, 724-745-8120 where departing prayers will begin at 9:30 a.m. on Thursday, December 20, 2018. A Mass of Christian Burial will follow at 10:00 a.m. in St. Patrick Catholic Church, 317 West Pike Street Canonsburg. Entombment will follow in Queen of Heaven.